Italian designer Gianni Versace was a fashion icon who was at the pinnacle of his career in 1997. He dressed some of the most famous women in the world, including the late Princess Diana, pop singer Jennifer Lopez and actress Elizabeth Hurley. He created a new category of elite supermodels like Cindy Crawford, Naomi Campbell and Janice Dickinson, working with the most famous photographers of the ‘90s. (Getty Images) Gianni and Donatella Versace in New York City. On July 15, 1997, Versace was murdered on the steps of his Miami Beach mansion, Casa Casuarina. By then, he had acquired fame, power, and wealth. Was envy what motivated his killer Andrew Cunanan to commit such a heinous crime? Cunanan grew up as the youngest of four children in southern California. Cunanan’s father, Modesto, was a Navy veteran and stockbroker. The family lived a comfortable life, and Cunanan received special treatment from his parents. In ritzy La Jolla, California, Cunanan went to the prestigious The Bishop’s School, which was attended by the children of diplomats, as well as the rich and powerful. The school and social circles he moved in set the tone for the kind of life he wanted to lead later in life. “Andrew's self-worth was tied to the finer things in life, what [people] could do for him. Being accepted in high society and by wealthy people was what he expected. If he didn't get them, he was lost,” said DeLong. Cunanan lied to peers, telling some he was from Philippine royalty. He knew how to order in French and frequented expensive restaurants, always expecting the best. “It appeared to everybody that he might have come from privilege, and he played that card big time,” John Walsh, longtime host of “America’s Most Wanted,” told ABC News. 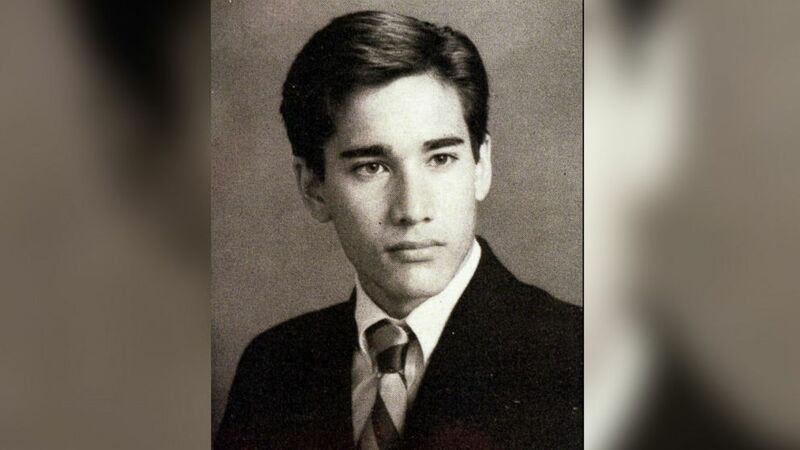 (AP, file photo) Suspected serial killer Andrew Cunanan is shown in his 1987 high school yearbook photo from The Bishop's School in San Diego, Calif. He was voted “Most Likely to Be Remembered” in high school. But Cunanan always felt that he was an outsider, Walsh said. In his yearbook, Cunanan would write, “Apres moi le deluge,” which, when translated into English means, “After me, the flood.” The statement was later studied by both reporters and investigators as an early indicator of a troubled mind. Cunanan’s father abandoned the family when Andrew was 19, leaving his son, his wife and other children destitute. “[Cunanan] went to live in the Philippines with his dad for about a month and came back to the United States, complaining about the squalor that his father was living in,” said Walsh. After Cunanan's return, friends of Cunanan said he began a string of relationships with wealthy older men who supported him financially and traveled with him around the world. In California, Cunanan met Norman Blachford, a wealthy patron of the arts in his 60s, who gave Cunanan an allowance of $2,500 a month, bought him a car and gave him access to his credit cards. At about this time, Gianni Versace had done some costume work for the San Francisco Ballet. Police told ABC News that at least three witnesses claimed that Cunanan and Versace crossed paths in California before Versace’s murder. Others speculated that Cunanan had possibly met Versace at a bar, at a party, at a high-society dinner, or possibly while traveling with Blachford. However, it has never been confirmed that Cunanan and Versace had actually met. When the relationship with Blachford ended, Cunanan’s high-flying lifestyle began to disintegrate. “He was dumped by his latest sugar daddy. He was losing his prowess among his peers. He had gotten sloppy and lost his looks, and the star was fading,” Donna Brant, who was the managing editor of “America’s Most Wanted” at the time of Versace’s murder, told ABC News. Was Cunanan’s reversal of fortune the trigger that sparked his violent rampage that summer? “He loved David Madson very, very much.... [But after the breakup,] David didn’t want anything to do with him. I mean, David was Andrew’s life. He said many, many times that he would give up everything to move out to Minneapolis for David,” Cunanan’s former roommate Erik Greenman told ABC News’ John Quinones in 1997. During the last weekend of April 1997, Cunanan, then 27, bought a one-way ticket to Minneapolis. 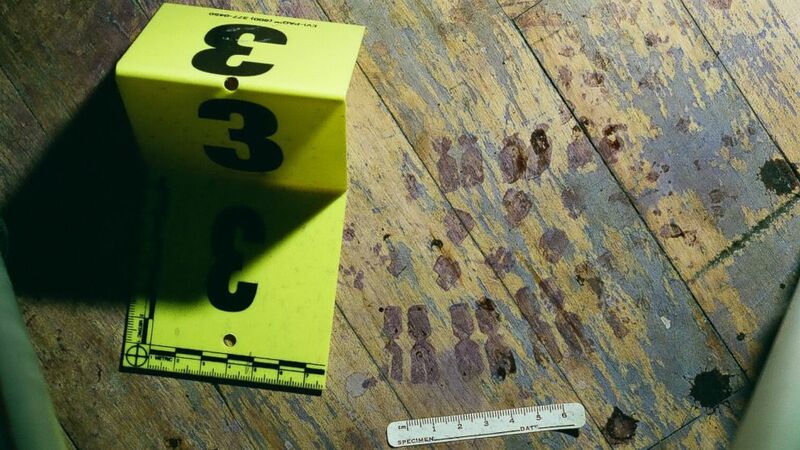 (Minneapolis Police Department) Authorities say this bloody shoe print was found at the scene of Jeffrey Trail's murder in 1997. The weekend he traveled to Minneapolis, Cunanan beat Trail to death with a claw hammer, hitting him on the head about 27 times. Trail’s body was rolled up in a carpet, and left in Madson’s apartment. At the time, police investigated whether Madson might have been involved in the murder. Police believe that after Trail’s murder, Cunanan held Madson hostage for two days in the apartment with the dead body until the two got into Madson’s car and drove out to an isolated area outside Minneapolis. 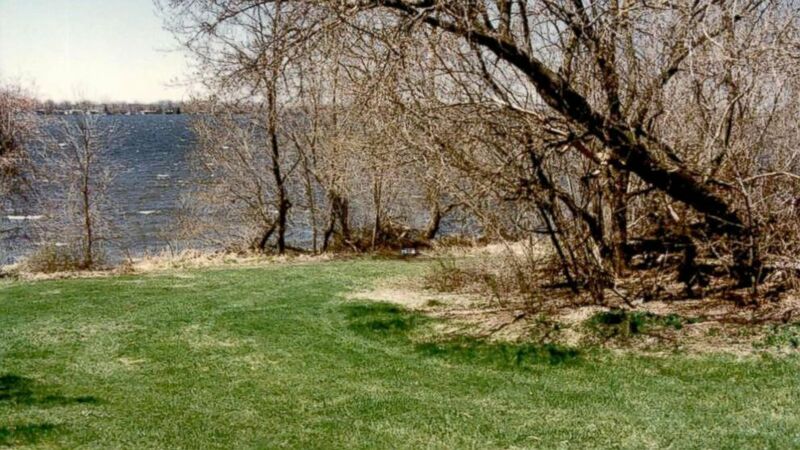 Cunanan shot Madson three times with Trail’s gun, and his body was found near East Rush Lake in Chisago County, Minnesota, on May 3, 1997. (Minneapolis Police Department) According to Minneapolis authorities, Andrew Cunanan shot Dave Madson three times in 1997. His body was found near East Rush Lake in Minnesota. “He was no longer Andrew Cunanan the gigolo. He was Andrew Cunanan the spree killer. This was a guy who tasted blood, loved it, and was empowered by it,” said Brant. The next day, Cunanan traveled to Chicago, where he killed 72-year-old real estate developer Lee Miglin in the garage of Miglin’s mansion. Cunanan beat Miglin and stabbed him with several different weapons. All of his ribs were broken. Miglin’s head was also wrapped in masking tape. 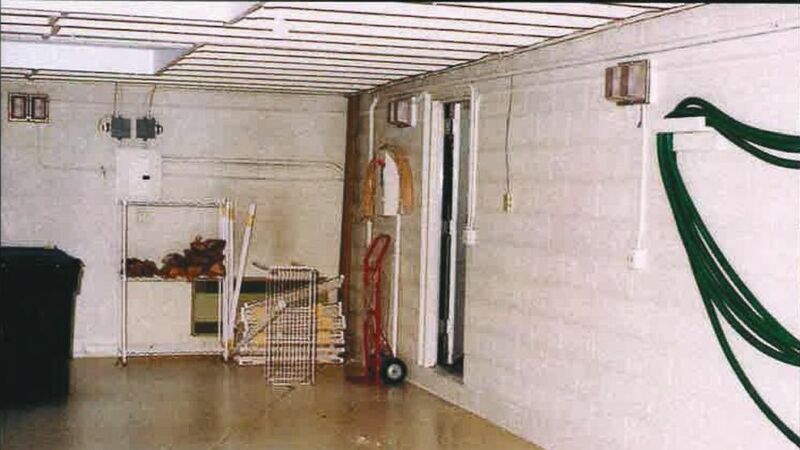 (Chicago Police Department ) Another shot of Lee Miglin's garage where he was brutally murdered in 1997. Cunanan made himself a sandwich and ransacked the home before fleeing with Miglin’s car and his prized coin collection. Cunanan used the car’s phone to make multiple calls, and police were able to track him by triangulating the phone which was pinging off of cell towers. When it leaked to the press that they had tracked him as far as Philadelphia, Cunanan heard the news and ripped the phone out of the car. (Chicago Police Department ) Authorities say Andrew Cunanan brutally murdered 72-year-old real estate developer Lee Miglin in his garage at his home in Chicago. “So he's got to dump the car. 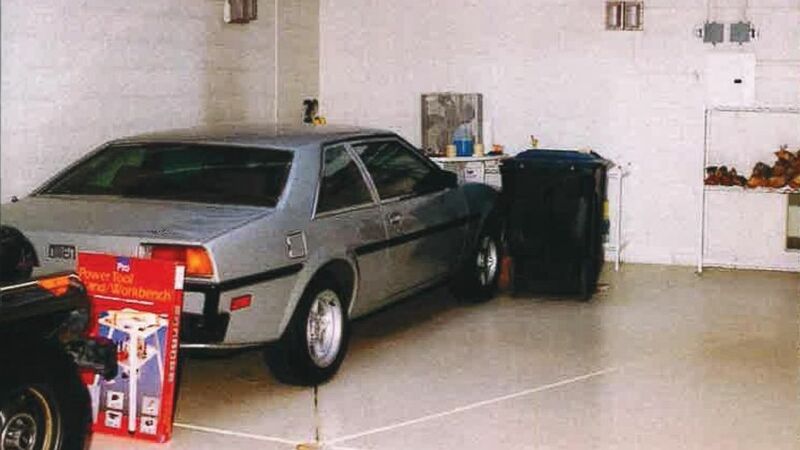 The car is the clue that ties him to Lee Miglin's murder,” said Walsh. From Chicago, Cunanan’s spree continued to Pennsville, New Jersey, where Cunanan needed a new vehicle to elude the police. He killed William Reese, a 45-year-old caretaker at Finn's Point National Cemetery, and took Reese’s truck, leaving Miglin’s car behind. Though the killing spree put Cunanan on the FBI's Ten Most Wanted Fugitives list, Cunanan evaded capture for more than two months. Then on July 15, 1997, Cunanan murdered Versace, shooting him twice in the head at point-blank range. 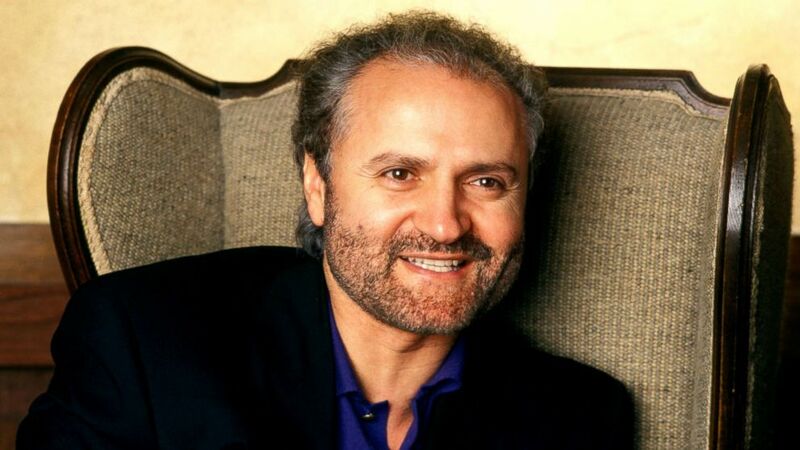 (George Rose/Getty Images) Italian fashion designer Gianni Versace in 1991.